It has been a joyful journey ever since I upgraded from a point and shoot camera to Pentax K100D in the year of 2007, and subsequently I got K10D, and now K20D. With Pentax system, I also get obsessed with film gear in trying out the oldie cameras as in Spotomatic, ME Super, SuperProgram, PZ-1 and now Pentax 645N. The terms in Lens Buying Addiction (LBA) and Camera Buying Addiction (CBA) are exclusively live and pandemic in the Pentaxian community. When I jumped from a simple point and shoot with Fuji F30, I asked myself the very question that I ask myself daily -- do you want to be just like others? And I chose to be different and be interesting with my dSLR journey. And the choice was clear in selecting Pentax K100D as it was the best at the time for an entry level camera with Shake Reduction (SR) built into the digital bodies. Every freaking inexpensive lens that I bought, be it an old m42 lens or a third party Sigma, Tamron, Tokina or the like, I will have the SR feature at my disposal to capture the special moment without worrying about the VR or IS labels on the lens. It is always tempting to see what is offered in other systems but what kept me a loyalist in Pentax is the great offering in prime lenses that are small, lightweight and excellent in image quality. 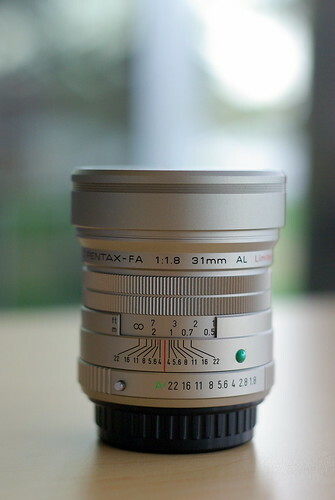 With the advance of newer Pentax bodies, I see great success in the making. "Why am I different from others?" asked the deaf teenage girl. "Why ... do you have to be like others?" replied the old man. "Music is a visible thing," said the old man. "Close your eyes. You will see." said the old man. Very well said Hin Man. I also appreciated the Pantene presentation. I personnally never was like the others and still am. Thank you Yvon. I like to think that You, Hin are other Pentaxian that are unique and one-of-a-kind. I was assuming Pantene was a Google (?) inclusion based on a corruption of Pentax. 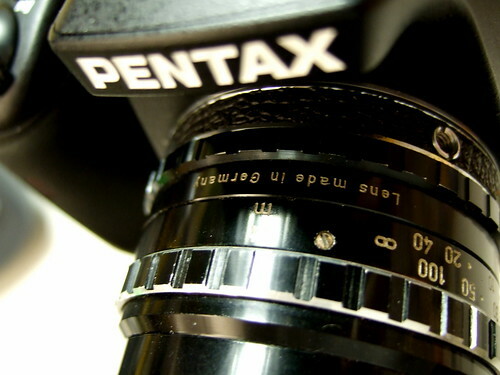 Anyway, did you seek out & read 'The Pentax Way' too? I did and enjoyed it. R.I.P. Herb Keppler. "Capture the souls in photography" Great saying. This is the first time I visit your blog. I just bought "The Pentax Way" yesterday on a street sale. What a coincidence. Mine is the second edition though. I will be coming back to your blog often. Great work. @Jimmy, thanks for your support and visit. @Miquel, that book is very special and it goes well for its readers even for digital. I actually bought the 4th edition one as a used book and sent it as a gift to my good friend Javier. And the strangest thing happened in my purchase. That book was signed by Herbert Kepler and it was sealed in the purchase. I should have opened it to take a picture on Herbert's signature but it was a gift meant to cheer up my good friend Javier. And it was in Javier's collection now. Hi. This is my very first visit to your blog. Nice to see some good info on something different. I am not a pro, so will be reading most of the time. Thanks. Yeah ， I love Pantene commerical. Thanks.